So… I lied in my last post. It was an accident. But I told you I’ve never made pie. I also lied a few posts back when I said I was done posting about apple dishes. I didn’t intend to lie, I swear. It was just… forgetfulness. 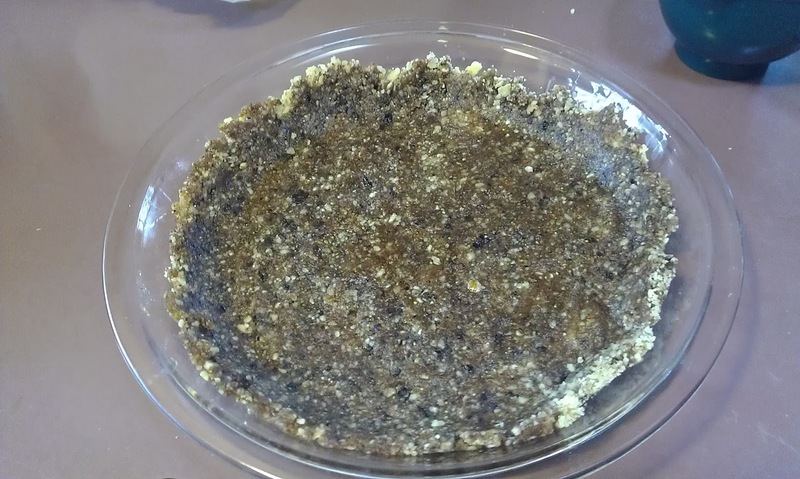 I found these pictures of a vegan raw gluten free apple pie I made in January, and I just had to share. Because it was delicious – one of the most satisfying desserts I’ve ever eaten. And rather easy to make. Much easier than normal pie. Thanks to Lydia and/or James for first making this for me, and this recipe which I modified a bit. 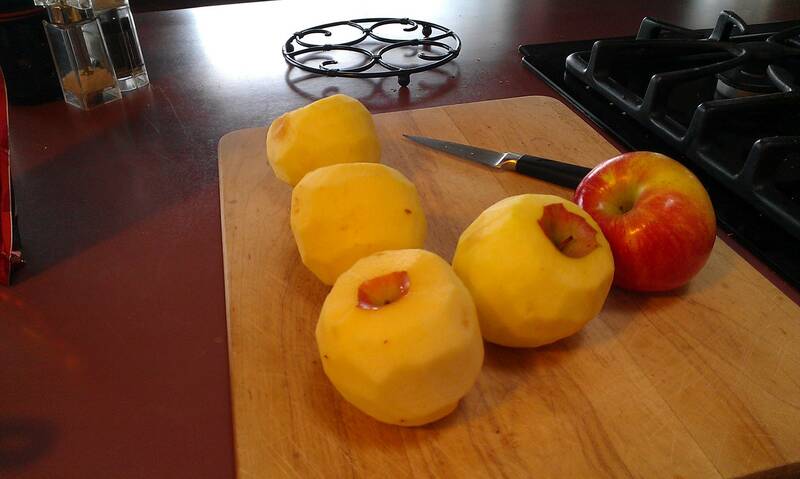 First, peel several apples. This was my first time baking with apples after learning how to properly peel apples, which was helpful. Next, get out the food processor. 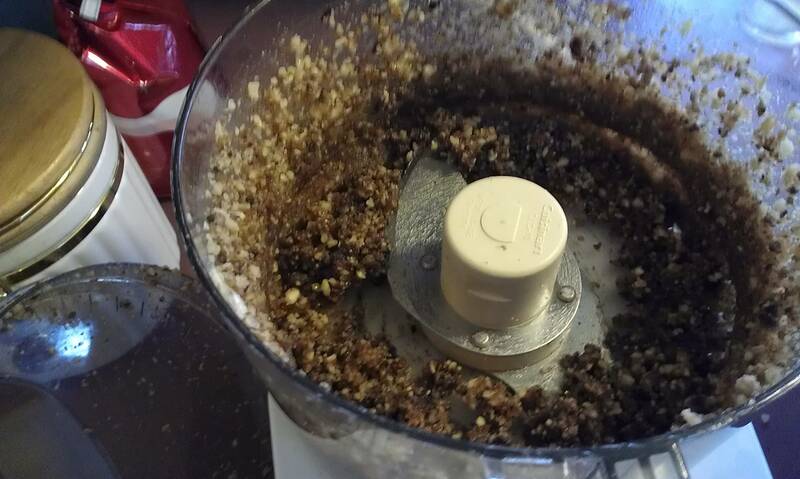 Grind a handful of nuts to sprinkle on the bottom of the pan (to prevent sticking), and then grind nuts, dates or figs or some sticky fruit, and a dash of maple syrup. I used hazelnuts and walnuts, for this one, which was delicious. The mixture forms into a sticky mess, which is really cool to watch for some reason. This mixture alone is delicious. Extremely sweet and very nutty. For obvious reasons. It will be your pie crust. 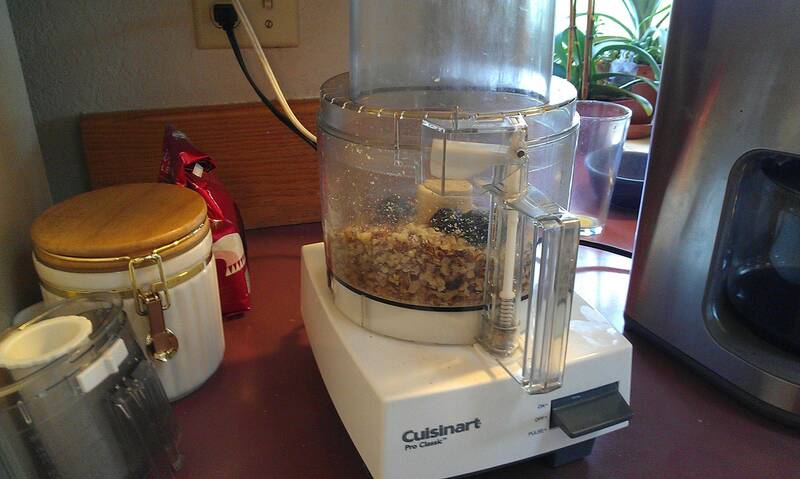 Press this down into your pan to form a “crust”. Mini rant about Blogger: I had to try 3 times to get this photo to upload. The in-Blogger uploading isn’t working anymore, so I uploaded the above pictures to imgur and connected the link. For whatever reason, that broke too. So now I’m uploading to Picasa? Grr. 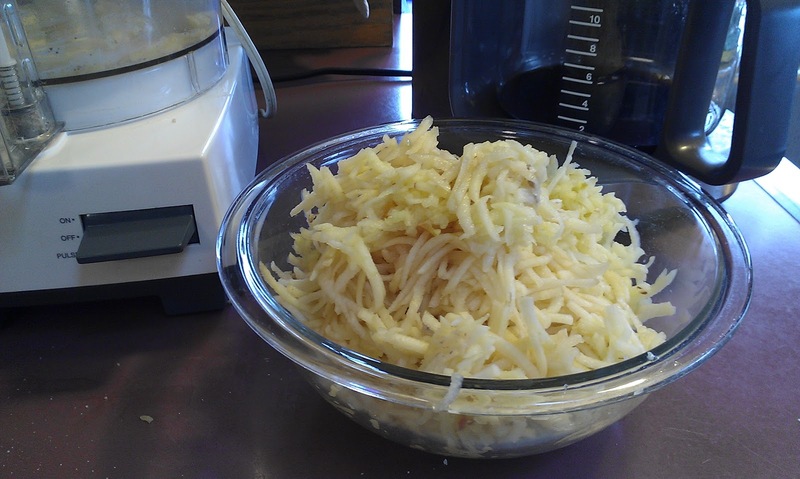 Finally, slice and grate your apples in the food processor. Once that’s been done, put apples, cinnamon, salt, lemon juice, raisins and vanilla in the processor and blend until smooth. Actually, don’t do that. I’m looking back at the recipe I used and I misread it. Grate your apples, then insert other filling ingredients (raisins, cinnamon, salt, lemon juice, vanilla) into the mixing bowl, and mix. That would have saved me a lot of time…. Let this mixture sit for a bit, then squeeze out extra liquid. Put the filling in the pan, then slice the apple you didn’t peel in the first place and make your pie look pretty. Then eat! Grate 4 apples, mix with raisins, lemon juice, salt, cinnamon and vanilla. Let sit for 10 minutes. Squeeze out (but save) excess liquid from apples and put in pie pan. 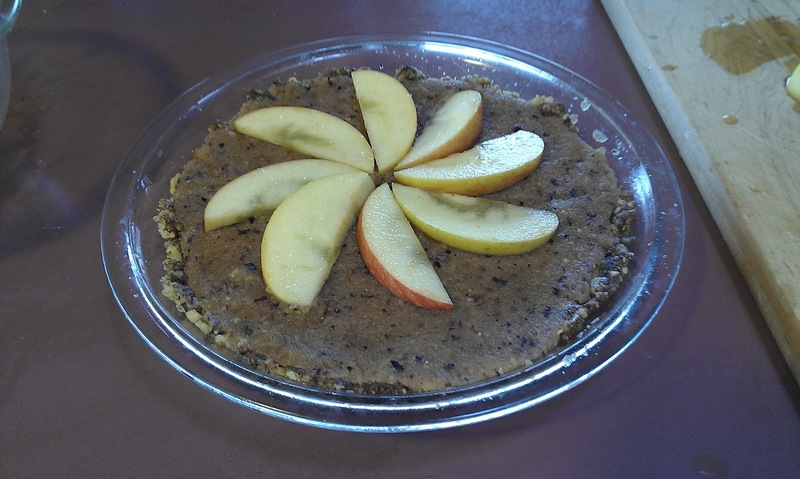 Slice remaining apple, dip each slice in liquid, and arrange slices artfully on top of pie. Serve! Or refrigerate until serving.